What is one thing we can’t live without in Dubai? Coffee and tea of course! We love our cool trendy cafes, cute tea houses and Indian chai shops with trays running towards cars with beeping horns. However, for ease, we’re going to purely focus on coffee for this article. So where are the places to get a cup of the best coffee in Dubai? 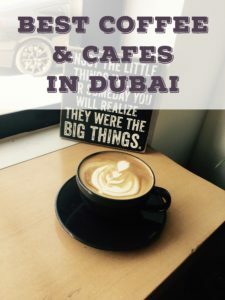 So this was actually a super hard article to make because there are so many different styles of cafes and so many amazing places for the best coffee in Dubai! Trying to pick a final few for the best of the best was not an easy task! 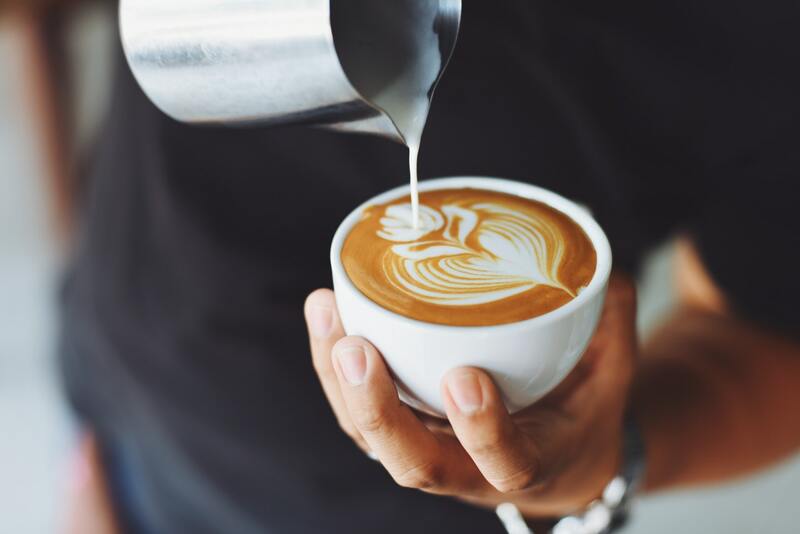 Coffee has a huge history here in the region with Arabic coffee or Qahwa, which is pretty different to the Italian style coffee Europeans are used to today. Thus making both types of coffee a popular choice for locals and ex-pats alike. Due to many not drinking alcohol, you’ll find many Gulf and Arabic nationals hanging in cafes till the early hours of the morning instead of what would be your typical bar culture in Europe. Most coffee only places in Europe close around 6pm, so it can seem pretty cool as a European that so many cafes are open so late when you first move to the region. So here are my top cafes to get the best coffee in Dubai! This hidden gem is tucked away in a corner on Al Thanya Street in Umm Suqeim, making it a great discovery but also a wonderful little hideaway. You could easily walk past it without knowing it’s there but you’ll be glad you came in. These guys really know their coffee and speak in depth about the flavours. Plus they have the best cold brew in the whole of Dubai! The interiors are really cool and feel like a completely different city. *Side note – Sadly some cafes seem to think a cold brew and an iced black coffee are the same, if you taste any burnt tones in your coffee, it’s been heated to produce the taste and isn’t an authentic cold brew! This cafe seemed to suddenly pop up and massively grow in the past couple of years. Their success is truly down to how they make their coffee along with the choice of beans and fresh roasts. The menu is simple and they stick to making just good coffee. Additionally, the staff are friendly and it’s a great place for a quick coffee. So for this coffee place, you don’t even need to get out of your car. They’re a newcomer to the coffee scene in Dubai but hands down their coffee is one of the best coffees in Dubai. Smooth coffee perfectly done with an amazing bean choice. So if you haven’t yet made a pit stop here, go have a taste. A Dubai coffee cult classic which has grown from a small hidden coffee place only open till 6 pm, to a huge warehouse with longer hours. 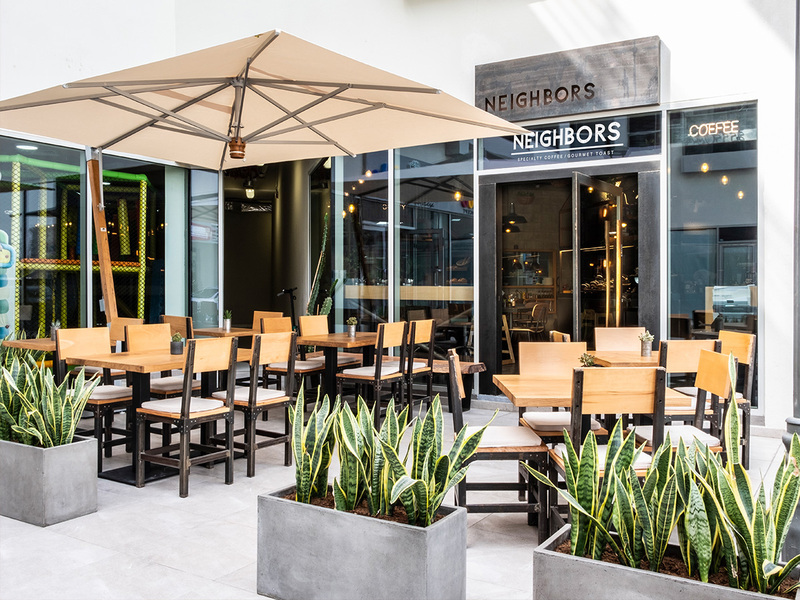 You’ll feel like you’ve been transported into an artistic trendy suburb. They source, import and roast organic fair trade beans. You may even be secretly drinking their products in some of your favourite cafes since they also do wholesale. In addition, they offer classes and training on how to make the best coffees. One of the coolest cafes around and from the outside, you probably wouldn’t think it was a cafe while you stare at the futuristis interiors. Don’t be afraid to go inside! Again they’ve kept the menu very simple and it’s just good coffee. They do a variety of the technical style coffees, chemex, v60 and others. Wondering why there’s no flavoured coffees? That’s because real good coffee doesn’t need sugary syrups to mask its’ wonderful flavour. I’m with the Italians on this one and they did invent the cappuccino after all. Some of these cafes also offer different flavours but why ruin a good thing? 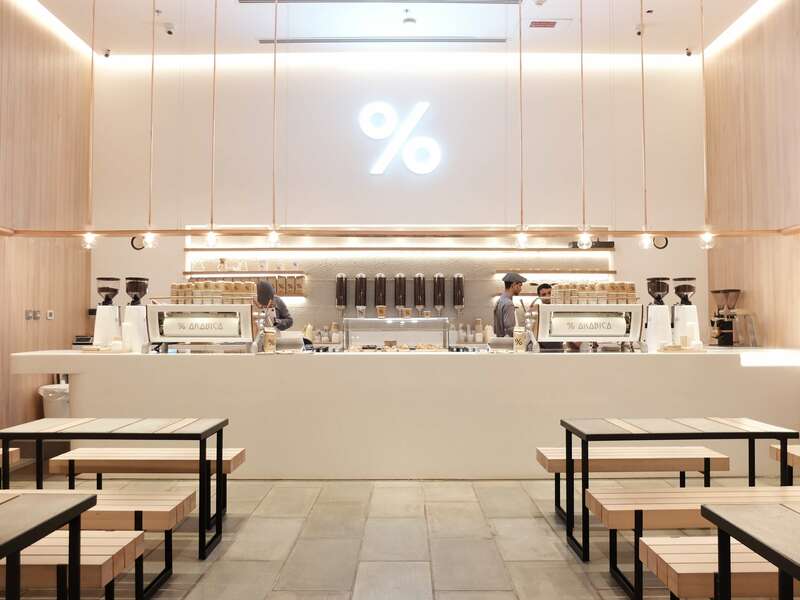 So now go out and taste the best coffee in Dubai! What is your favourite? Missed my post from last week? 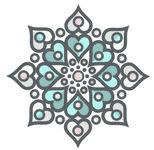 Check out it out here! Dedicated to the ultimate cheese pull!